Once you've landed and collected your luggage there will be a driver holding a sign with your name on it so you can quickly find your minibus or taxi. Your flight number is used so we can follow arrival times if they change. 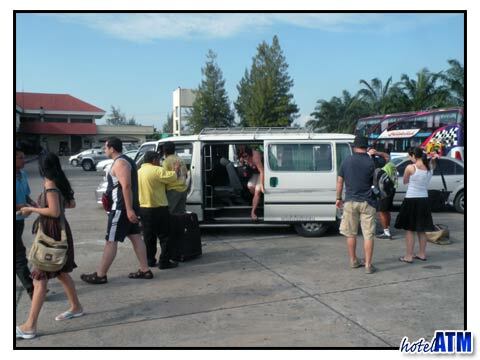 If you've booked a private minibus you'll be in your way to Rassada Pier within minutes, no hassle, no fuss just sit back and relax. Your holiday has officially started! If your flight arrives in the evening we recommend booking an overnight stay on Phuket, wherever you stay we can arrange to pick you up the next morning to continue your journey to Phi Phi Island. It takes around an hour from when you leave the airport to get to Rassada Pier and again it's another place that can get very busy. If you've booked a ferry transfer you'll be given a coloured sticker to indicate to the staff which ferry you'll be on and you will be notified when it is time to board. If you've opted for the private Speed Boat then there's no waiting, your luggage will be transferred to the boat and you'll be on your way. Once you arrive at Koh Phi Phi Islands Tonsai Bay, you will find no cars, buses or taxi transport (as there are no roads on this tropical paradise). However, depending on where your hotel is located on the island, there are long tail water taxis for hire. 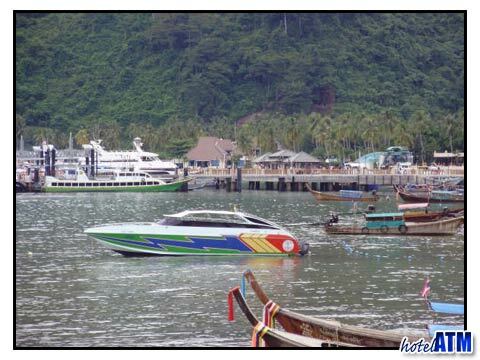 Those staying in the Laem Tong Beach area of Phi Phi will continue the journey after a short wait at Tonsai. Depending on conditions and numbers you may be required to change to a different boat for this part of the Phi Phi transfer. 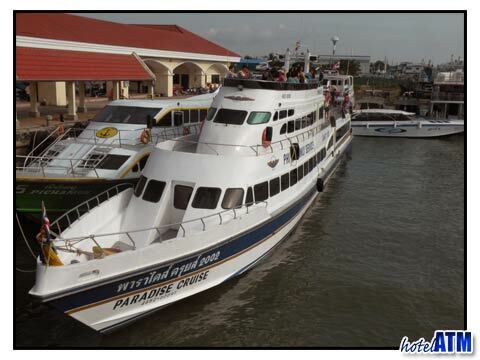 Upon arrival at Phi Phi pier, there is a THb 20 arrival fee. This fee is not part of the transfer cost and we are informed that this fee is for the upkeep and maintenance of the pier.